Dillinger Days. On Jan. 25, 1934, Public Enemy No. 1, John Dillinger, was finally captured right here in Tucson. We’ve been tooting our horns about it and celebrating with Dillinger Days for a full two and half decades now, so this Dillinger Days is celebrating both Dillinger’s capture and the subsequent celebrations themselves. Check out fancy drinks, like Japanese whiskey and 10-year-old single malt scotch, as well as fancy foods, like smashed fingerling potatoes and mini vegetable wellingtons, at the speakeasy at 7 p.m. on Friday, Jan. 18 ($40 GA / $75 VIP). Then watch three reenactments of Dillinger’s capture (11 a.m., 1:15 p.m. and 3:30 p.m.), explore a historical artifacts exhibit and a vintage car show, attend lectures, and do some arts and crafts all day on Saturday, Jan. 19. Saturday’s event is free, or $30 for a front-row experience. 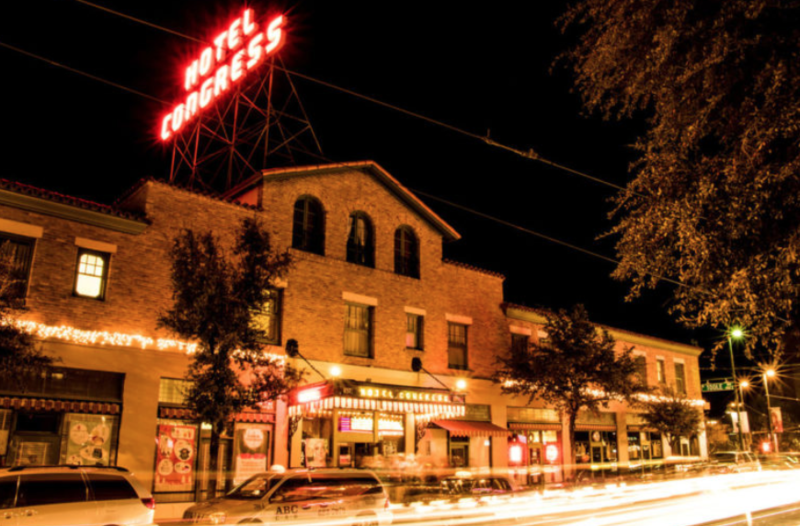 Hotel Congress, 311 E. Congress St. Details here. Tucson Square Dance Festival. Usually, you say “be there or be square,” but in this case, it’s all or nothing, baby. Be there AND be square. The Southern Arizona Callers and Cuers Association is bringing in callers from California and Colorado to this three-day bonanza full of workshops, square dancing and more square dancing. They’ll have mainstream, plus, advanced and rounds, and you’ll have tons of fun. (If square dancing is your thing, that is. And hey, it’s a new year and a new you, right? Maybe square dancing really is your thing!) 1 to 10 p.m. Friday, Jan. 18, 10 a.m. to 10:30 p.m. Saturday, Jan. 19. Sunday, Jan. 20. St. Paul’s United Methodist Church, 8051 E. Broadway Blvd. $40 per person, $25 all day rates. Details here. Catalina Organ Festival. The Catalina United Methodist Church on Speedway always comes through with incredible organists. On the docket this time: Crista Miller, director of music and cathedral organist at Houston’s Co-Cathedral of the Sacred Heart, contemporary composition advocate and doctor of organ performance (she has a doctorate of musical arts). Miller has performed all over the world and in half of the U.S. states, and oversees the Celebrity Organ Series and on the steering committee of the National Conference of Roman Catholic Cathedral Musicians. TL;DR: This woman is really, really good at playing the organ. You’re lucky to get the opportunity to watch her play. So go watch her play. 7 to 9 p.m. Friday, Jan. 18. Catalina United Methodist Church, 2700 E. Speedway Blvd. $5 to $20. Details here. Trombone Shorty and Orleans Avenue. You might not guess it, but Trombone Shorty is not actually the name Troy Andrews was born with. But it might as well have been. He picked up the trombone at age four, when most of us are just beginning to master the art of picking up regular, non-sippy cups. He started playing professionally soon after, had his own band by age eight and was touring with the Neville Brothers in his teens. He’s performed with everyone from Hall & Oates to the Red Hot Chili Peppers, and has performed everywhere from Japan to Brazil to the White House to (now) Centennial Hall! You trombone’t want to miss it. 8 p.m. Friday, Jan. 18. Centennial Hall, 1020 E. University Blvd. $25 to $100+. Details here. WomenKraft Rummage Sale. Everyone knows that, in this day and age, the place you’ll find the most reliably good weather is indoors. The fact that it’s inside is just one of the things that makes this fundraiser by WomenKraft, a nonprofit arts organization dedicated to empowering women and other underrepresented groups, so cool. Looking for clothes, shoes, art supplies, books, LPs, furniture, frames, bedding, dishes or appliances? They’ve got it. What about a red leather electric recliner? Or a vintage cabinet from the early 20th century (at least that’s what they think)? Who doesn’t love a good bargain and supporting badass women? 8 a.m. to 4 p.m. Friday, Jan. 18 and Saturday, Jan. 19. 388 S. Stone Ave. Details here. Undeterred. The Screening Room is hosting the Tucson premiere of this local documentary about Arivaca, Arizona, a border town often on the front lines of international and humanitarian crises. The film was made by Eva Lewis, Arivaca resident and longtime member of the People Helping People in the Border Zone group. The screening is followed by a Q&A with director and community activists. 7 to 9 p.m. Friday, Jan. 18. 127 E. Congress St. $10. Details here. Word of Honour: Reclaiming Mandela’s Promise. Docuclub Tucson is celebrating the 25th anniversary of democracy of South Africa with this screening of a documentary examining human rights and Nelson Mandela’s rise to prominence. The screening includes special guests: writer David Lawrence Grant and director Kiersten Chace. 6 to 9 p.m. Friday, Jan. 18. Pima College Northwest Campus. 7600 N. Shannon Road. Second Level Building A, Room A207. Free. Roadkill Zip-Tie Drags. Have you ever seen David Freiburger and Mike Finnegan hosting Roadkill, the show on the MotorTrend network that’s all about “Automotive Chaos Theory?” No? Why not skip straight to seeing them live in person, when they cruise into Tucson this weekend? You’re invited to join them for camping, drag racing and complimentary s’mores Friday afternoon and evening, starting at 3:30 p.m., and then to test your own drag racing skills on Saturday, with a chance to race against a Roadkill star vehicle driven by the show’s hosts. Or, you can just be a spectator, and enjoy the car show, swap meet, awards show and food trucks. 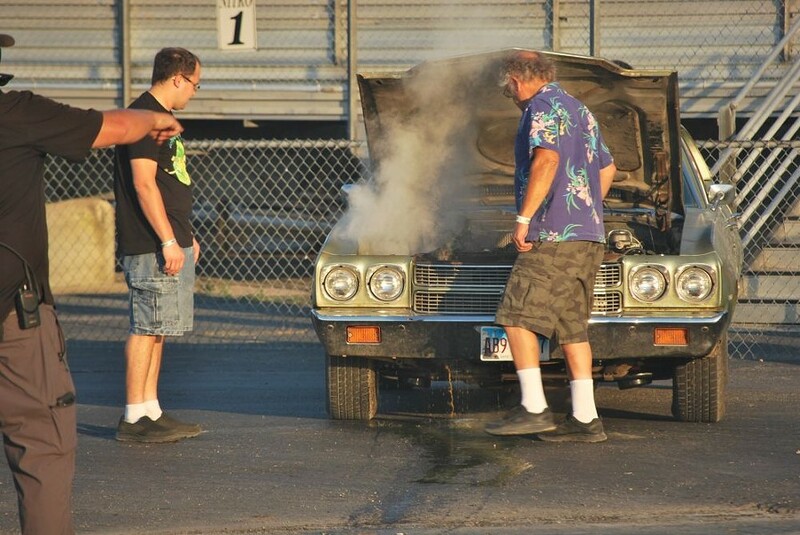 Drag racing starts at 7 a.m. on Saturday, Jan. 19. Tucson Dragway, 12000 S. Houghton Road. Participant prices range from $20 for on-day car show participants to $45 for two-day racer participants. Spectator tickets are $10 to $20. Details here. Tucson Taco Fiesta. 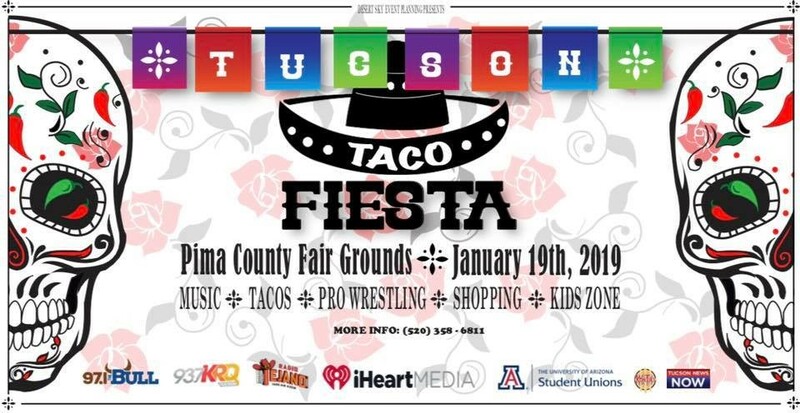 The Pima County Fairgrounds are getting a massive dose of culture this weekend with the Tucson Taco Fiesta. More than just a food festival (as if you’d ever need anything more than tacos and salsa), this event includes music, shopping and pro-wrestling(!?). Get your tacos, get your salsa, get your tequila and whatever else they have going on here, too. 11 a.m. to 6 p.m. Saturday, Jan. 19. 11300 S. Houghton Road. $7 online, $10 at gate. Kids 12 and under free. Details here. Enchanted Cafe Grand Opening. Level Cup Cafe on Tucson’s east side is turning into Enchanted Cafe, and adding food to their menu! They’ll still have their classic menu of coffee and boba, but are also getting sandwiches such as clubs and reubens. The grand opening includes 15 percent off the entire menu. 7 a.m. to 7 p.m. Saturday, Jan. 19. 1525 N. Wilmot Ave. Details here. Vegan Brews and BBQ. Crooked Tooth Brewery is serving up some southern fried vegan food to mix with their awesome brews. Dishes include jambalaya, cajun corn, vegan fried chicken, mac and cheese, “Beer-Cheeze Battered Beyond Burgers” and more. Vegan soul food is a thing, who knew? Noon to 5 p.m. Saturday, Jan. 19. 228 E. Sixth Street. Details here. 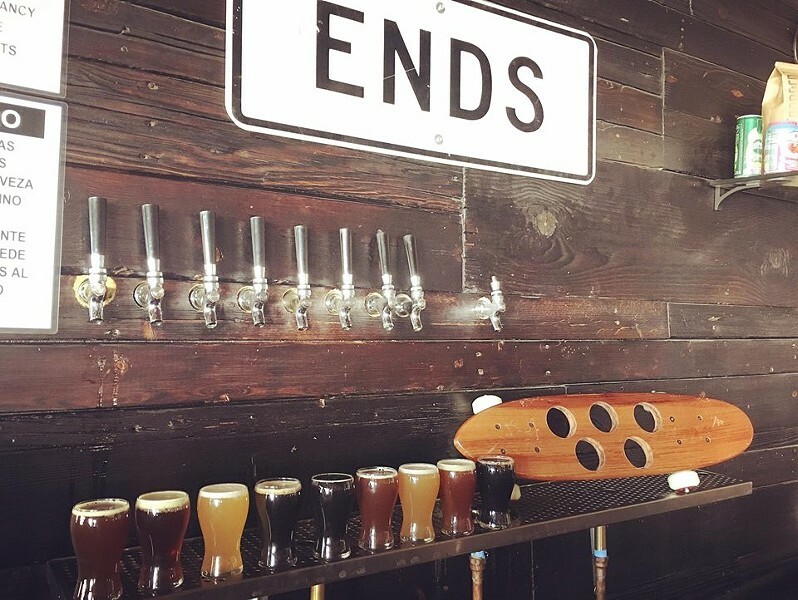 With nine beers on tap, Crooked Tooth Brewing Co. is bound to have something suitable for any beer lover. Turkish Bazaar EXTRA. The Sema Foundation is hosting a preview event for the upcoming Turkish Bazaar food festival in April. This Turkish Bazaar EXTRA food event features only their five most requested menu items: beef gyros, gozleme, baklava, Turkish tea and coffee. If you’re looking for a sneak peek into the world of Turkish food, this is the place to be. 10 a.m. to 4 p.m. Saturday, Jan. 19. 2843 North Alvernon Way. Free. Details here. Tucson Rodeo & Parade Barn Dance. 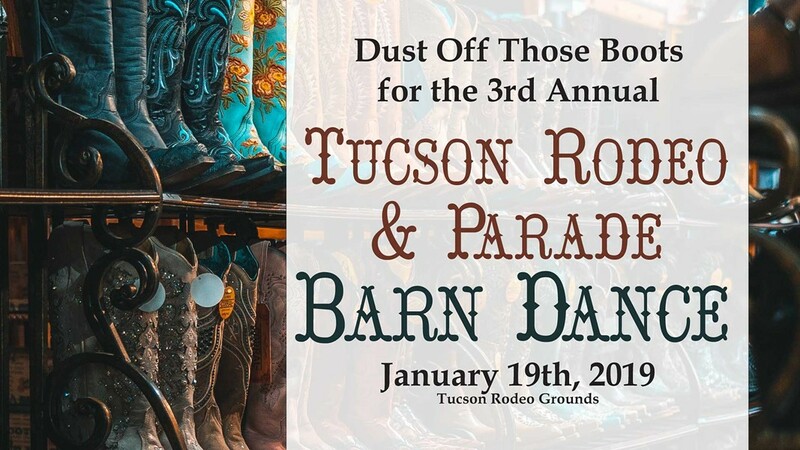 Get on your cowboy or cowgirl boots and get ready to have a rootin’ tootin’ good time, because the Tucson Rodeo Parade Committee and the Tucson Rodeo’s third annual fundraiser is here! Jack Bishop is providing some good ol’ fashioned country tunes for you to dance to, and there will be plenty of food and drinks for purchase. This is a 21+ event, so there’s no entry through the barn doors for any of the youngins. You have to be of age to handle having this much of a good time. Doors open at 6 p.m., with last call at 10 p.m. and doors closing at 10:30 p.m. Saturday, Jan. 19. Tucson Rodeo Grounds, 4823 S. Sixth Ave. $8. Details here. La Encantada Fine Art Festival. A visit to La Encantada’s lovely garden courtyard is always a treat, but when it’s filled with gorgeous artwork created by locals, ranging from paintings to metalwork to handcrafted fashion pieces, it’s basically a dream come true. After all the holiday shopping of the last couple months, it just might be time to take a deep breath, march yourself up to this art festival (complete with lovely mountain views) and buy something nice for yourself. Plus, you’re giving the gift of supporting local artists, so you get to have the warm and fuzzies still. 10 a.m. to 5 p.m. Saturday, Jan. 19 and 11 a.m. to 4 p.m. Sunday, Jan. 20. La Encantada Shopping Center, 2905 E. Skyline Drive. Free. Details here. Pink Martini at TSO. The members of Pink Martini call themselves a “little orchestra,” but they’re not so much “the little orchestra that could” as they are “the little orchestra that does. A lot. All the time.” They play a mix of classical music, pop, rock, jazz and Latin music in more than a dozen languages, and have played with more than 50 orchestras around the world. They first formed in 1994 to provide more inclusive soundtracks for causes like civil rights, education and parks, and have worked with guest singers including Rufus Wainwright, Phyllis Miller and the von Trapps (yeah, the actual great-grandchildren of the Sound of Music’s Captain and Maria von Trapp). Don’t miss your chance to see them in Tucson! 7:30 p.m. on Saturday, Jan. 19 and 2 p.m. on Sunday, Jan. 20. Tucson Music Hall, 260 S. Church Ave. $15 to $219+. Details here. Two Trains Running. There’s a new president in the White House, racial tensions are on the rise and a beloved downtown eating establishment is on its way out. Tucson in 2019? Well, yeah. But also Pittsburgh’s Hill District in 1969, which is where this play by August Wilson takes place. It tells the story of Memphis Lee, the owner of a demolition-slated diner, who’s trying to decide whether to let the government take the building over or sell it to a ruthless businessman. Meanwhile, the diner’s regulars continue to gather to gossip, maintain a sense of community and talk about their dreams. Saturday, Jan. 19, through Saturday, Feb. 9, with shows at 2, 7 and 7:30 p.m. on varying days. Temple of Music and Art, 330 S. Scott Ave. $41 to $66. Details here. Sonic Youth: 30 Years of Daydream Nation. Celebrating the 30th anniversary of Sonic Youth’s noisy, alt.rock opus Daydream Nation, this documentary looks at the the influence the album made on the musical landscape. This event at The Loft Cinema also includes the “rarely-screened 1989 documentary Put Blood in the Music.” Featuring a live panel discussion with Sonic Youth drummer Steve Shelley, Sonic Youth archivist Aaron Mullan, among others. 7:30 to 10 p.m. Saturday, Jan. 19. 3233 E. Speedway Blvd. $15. Details here. Chrome Sparks (CS). Explore and refract intellectual ideas and their resulting emotions with chopped up, sampled and synthesized sound collages. Sounds boring, but wait! Their song “Marijuana” is hardly some sleepy stoner fist-jacker, rather it simulates the euphoric, often overwhelming effects of THC itself, enlisting Dr. John-y voodoo chants backwards—this is your brain on drugs, kids! “Still Think” ain’t just a nostalgic love ditty, rather it examines the qualities of memory itself, juxtaposing melodies and beats both light and whimsical, with heavy impossible-to-escape breaks. This is IDM for psych warriors keen to involve their head, heart and body in everlasting pursuit of groove and schtupp. Chrome Sparks is Brooklyn’s Jeremy Malvin. At 22, CS already has five albums of stuff. And he doesn’t just regurgitate samples—he sings, plays guitar and synth, then chops up and samples original material too. His Spotify playlists betray deep knowledge of international electronica and obscure-o jazz. Dude’s got time and tech on his side. Welcome to the futuredome. With Teen Daze. Saturday, Jan. 19. 191 Toole. Doors at 8 p.m. $15. All ages. Details here. Cheese and Beer Pairing at 1912 Brewing. In celebration of National Cheese Day (because that’s a thing… right? ), 1912 Brewing Co. is pairing three cheeses to three of their specialty beers. But if beer and cheese doesn’t sound all that great to you, worry not, because they’re also pairing wine with cheese. Maybe you can pair all three! 2 to 4 p.m. Sunday, Jan. 20. 2045 N. Forbes Blvd. The Brave Knight, Sir Lancelot. In the tales that we all grew up hearing, the hero’s journey had this quality of always being… well, heroic. But, as this musical will show us, even the most elevated of heroes, like Sir Lancelot, the very bravest of the Knights of the Round Table, had to start somewhere. This show tells the tale of Lancelot, the regular ol’ guy, who has big dreams of being a hero and finding all the sorts of stuff that heroes face, like dragons, damsels in distress and adventure in general. 12:30 p.m. on Sundays through Sunday, March 24. Live Theatre Workshop, 5317 E. Speedway Blvd. $10 adults, $7 kids. Details here. The Art of Travel. Most of us enjoy traveling. But not all of us use the joy of travel as inspiration to create gorgeous works of art. At this Madaras Gallery event, Diana Madaras and Terry Von Guilleaume from Destination South Africa will talk about their experiences in South Africa, and the art these experiences inspired, over light appetizers, drinks and plenty of art. Madaras’ travel-inspired artwork will be on display, and there will also be plenty of giveaways and safari specials. Treat yourself to some midday inspiration, then go home and start planning your next trip. 10 a.m. to 1 p.m. Sunday, Jan. 19. Madaras Gallery, 3035 N. Swan Road. Free. Details here. Moon Music Serenade. Total lunar eclipses (the ones where Earth passes between the sun and moon and Earth’s shadow crosses the full moon) happen about twice every three years, so they’re not incredibly rare, but they’re very much a reason to celebrate, if you ask us. 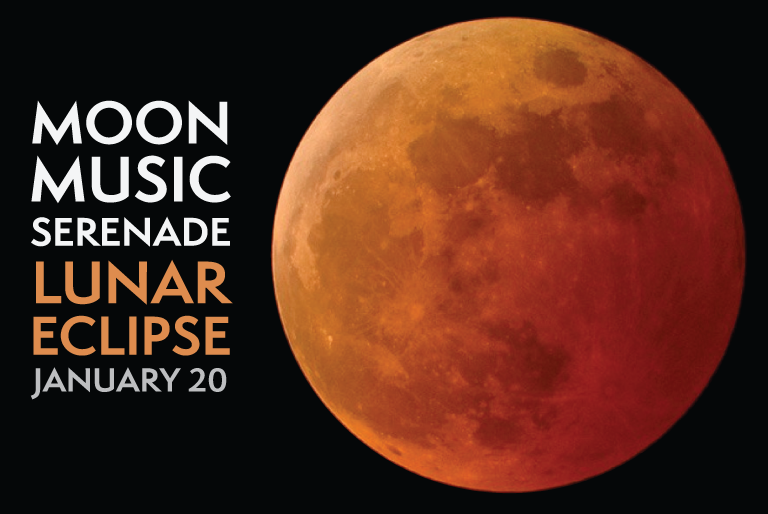 Celebrate this one at Flandrau, where the UA Chamber Winds Ensemble will be accompanying the eclipse (which starts around 8:30 p.m. and is total around 9:40 p.m.) with three pieces: Schuman’s “Cooperstown Fanfare,” Mozart’s Serenade No. 12 in C Minor “Nachtmusik” and Caplet’s “Suite Persane.” At 7 p.m., UA planetary scientist Steve Koretenkamp will give a presentation about the moon. During the eclipse, the Lunar & Planetary Lab and the Tucson Amateur Astronomers Association are providing telescopes out on the mall so you can watch the whole thing go down. Sunday, Jan. 20. Flandrau Science Center & Planetarium, 1601 E. University Blvd. Concert and viewing are free, Koretenkamp’s talk is $5. Details here. Martin Luther King Jr.: Birthday Celebration in Music. Martin Luther King Jr. is always worth celebrating, and that’s even more true on his 90th birthday (Jan. 15). Join the Tucson Musicians Museum for a unique celebration of his life and work, featuring three hours of Tucson musicians performing songs from the civil rights movement. You’ll see up-and-coming artists, as well as some of the top performers in town. Russell Long, Oscar Chavez, Crystal Stark, the George Howard Band, Dr. Steven Wilhite and his Gospel Choir and David Dean from Neon Profit are just a sampling of the bands playing. Ticket proceeds will go to the museum’s youth outreach programs, so this is a feel-good event all around—civil rights, music and youth programs! 6 to 9 p.m. Sunday, Jan. 20. Leo Rich Theatre, Tucson Convention Center, 260 S. Church Ave. $25. Details here. Tucson International Jewish Film Festival–Short Film series. This screening features three short films depicting the passion and history of the Jewish culture: Wendy’s Shabbat, Egg Cream and Stitchers: Tapestry of Spirit. The screenings also feature a talk from author Barry Joseph. 3 to 5 p.m. Sunday, Jan. 20. 3800 E. River Road. $10. Details here. The Lavender Scare. Oh McCarthyism, what didn’t you screw up in the United States? We know of the “Red Scare,” where fear of Communism led to the U.S. government making accusations of treason without evidence. But the Lavender Scare was also part of the craze, only this was directed toward purging the U.S. government of any suspected gays or lesbians. This documentary examines the fight for gay rights during this wild, worthless witch hunt. This free screening is a rental of The Loft Cinema, presented by Southern Arizona Senior Pride. 3 p.m. Sunday, Jan. 20. 3233 East Speedway Blvd. Free. Details here. Kate Breakey: Black Tulips. The story behind the newest exhibit at the Tucson Botanical Gardens’ Friends House Gallery (and sponsored by the Etherton Gallery) is simple and sweet: In 2011, Kate Breakey visited Amsterdam, the tulip capital of the world, and the following year, she bought a bag of “Queen of the Night” tulip bulbs and read up on how to cultivate them in Tucson. She passed along the bulbs and the info to eight of her closest friends. When they grew the tulips, Kate photographed both the flower’s bloom and the flower’s grower. Saturday, Jan. 19 through Sunday, April 28. Garden hours are 8:30 a.m. to 4:30 p.m. daily, as well as 5:30 to 8:30 p.m. Thursdays through Sundays. Tucson Botanical Gardens, 2150 N. Alvernon Way. $15 adults, $13 students/seniors/military, $8 kids 4 to 17. Details here.